The English privateer, Capitain Henry Morgan, sacked the original Spanish settlement on Panama’s Pacific coast in 1671. In order to protect themselves and gold shipments from the new world to the old, the surviving residents chose a more defensible location to found their new settlement. Casco Viejo sits on a narrow rocky peninsula jutting out into the Pacific Ocean and was once encircled by stone fortifications and ramparts with cannons. Since then the old town’s Spanish Colonial architecture has evolved to include: French Colonial, turn of the century American, Neoclassical and Art Decco which reflect influences of political and cultural imperialism. 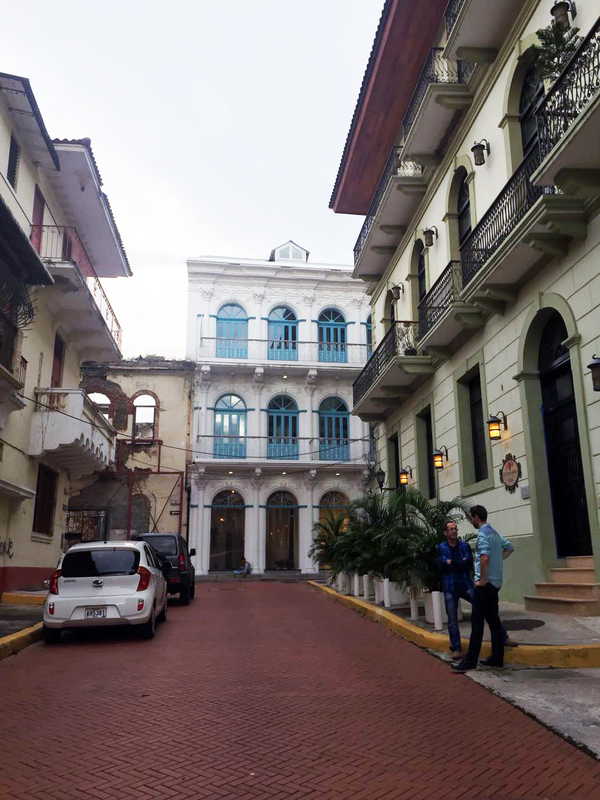 UNESCO named Casco Viejo a world heritage site in 1997. The area is now undergoing a massive revitalization effort both by the government and by private investors. This vibrant area teems with culture, dining, and nightlife and has quickly become one of the hippest places in Panama. It is an area of fascinating contrast—past and present, crumbling and luxurious, wealth and poverty, and local and foreign. It is a magical place that most people fall in love with after a short walk through its narrow brick streets that have become a monument to the country’s history.